Infusion Bottles There are 3 products. 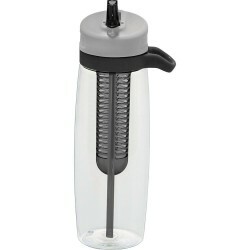 800ml Tritan BPA free flip top lid drink bottle, coupled with an infuser which can be used to add sliced fruit or filled with ice cubes. This design is lightweight highly resistant to impact, fractures and extreme temperature conditions. 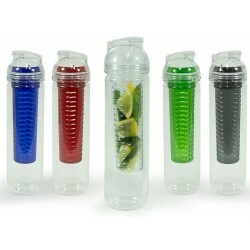 Infuser can be mix and matched to suit your corporate colours. 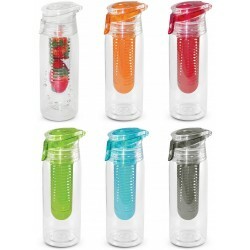 Maintain a healthy lifestyle with this mighty fruit infuser bottle. Screw-on, spill resistant lid with straw.